In its first transparency report, the company received over 26,000 requests worldwide, involving over 38,000 user accounts. 71 per cent of the requests made in Ireland saw Facebook disclose data to officials. FACEBOOK RECEIVED 34 data requests from the Irish government during the first six months of 2013, affecting 40 users. As part of its first global government requests report, it revealed that 71 per cent of the requests made in Ireland saw the company disclose some data to officials. In the majority of cases, these requests related to criminal cases and deal with both criminal and national security requests. 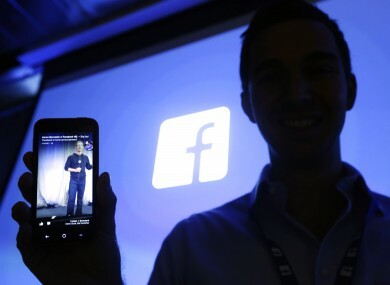 Facebook’s legal representative, Colin Stretch, wrote that while this was the first report of its kind that the company has released, it intends to make it a regular feature and that such information is only shared with the relevant authorities when it is absolutely necessary. Across the globe, there were 26,607 requests made which involved 38,954 accounts. On average, over 32 per cent of all requests resulted in Facebook disclosing some data to the relevant authorities. The United States topped the list with between 11,000 to 12,000 requests made, while India made 3,245 requests. In Europe, Germany made 1,886 requests during this period, while the United Kingdom and Italy made 1,975 and 1,705 requests respectively. The entire list of countries affected can be found here. Email “Facebook received 34 data requests from Irish government”. Feedback on “Facebook received 34 data requests from Irish government”.